Overshadowing the National People’s Congress’ meeting which usually showcased economic and development initiatives, Xi Jinping’s plan to end constitutional limits on his term as president has sparked widespread controversy. Favoring Xi’s proposal to rule indefinitely, Party officials have defended the ending of the two-term limits as a necessary move to ensure the continuity of China’s long-term agendas such as “making state industry competitive and productive, developing profitable high-tech industry, reducing poverty and cleaning up China’s battered environment” (Chicago Tribune, 4 March 2018). 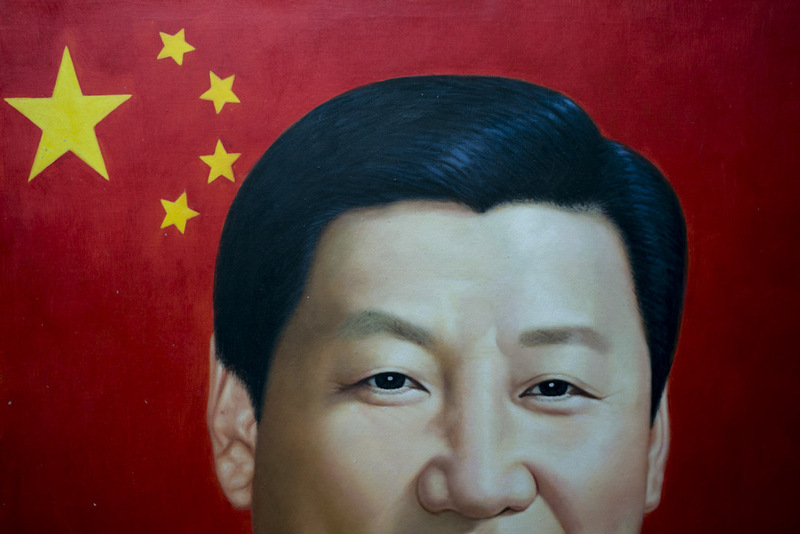 On the other, in the time when people are increasingly reluctant to voice opinion, Xi’s proposal is met with concern among political observers, considering such move would reverse “a decades-long trend toward power sharing and institutionalization of political norms started under reformist leader Deng Xiaoping in the 1980s as a safeguard against dictatorship” (Associated Press, 4 March 2018). Indeed, the main concern is “whether China is set to repeat past mistakes where unquestioning observance to its leadership contributed to disasters like the Great Leap Forward of the 1950s and Cultural Revolution a decade later” (TIME, 26 February 2018). For example, Professor Nick Bisley at La Trobe University suggests that there is a risk of China to “become courtier culture, sycophancy, just telling him what he wants to hear” (TIME, 26 February 2018). Moreover, this concern has extended to the general public, as the searched items on Baidu such as “migration” (移民) and “1984” has recorded significant increase within the three hours after Xi’s announcement was made on 26 February 2018. Replacing property developers and management staff of state-owned industries, technology entrepreneurs have gained the strongest presence ever at the Chinese People’s Political Consultative Conference, as almost all the 2,158 delegates who debuted as advisers came from technology firms. Some of the most notable delegates include Liu Qiangdong (founder of JD.com), Ding Lei (founder of NetEase), and Ma Huateng (founder of Tencent). According to Sun Xin at King’s College in London, “the move reflects the party’s commitment to economic transformation based on industrial upgrading and technological innovation” while “traditional sectors such as real estate and energy are often deemed to be closely associated with corruption” (SCMP, 4 March 2018). On the other side at the National People’s Congress, Premier Li Keqiang has also pledged to accelerate China’s technological development, especially artificial intelligence, by attracting foreign talents and venture investments as of the country’s top priorities in 2018. Targeting to become the world’s AI (artificial intelligence) leader by 2030 as previously outlined in a development plan published in 2017, Chan’s pledge confirmed “China’s renewed efforts to transform itself from the factory floor of the world into a global innovation powerhouse and echoes President Xi Jinping at the 19th Communist Party Congress” (SCMP, 5 March 2018). During a trial at Beijing’s Intermediate People’s Court on 1 March 2018, a witness of a homicide incident became the first person in China to use a VR (virtual reality) headset to revisit the crime scene where a 30-year-old man Zhang stabbed his 19-year-old ex-girlfriend Liu to death. Projected on a screen for the rest of the court, the VR technology re-enacted a 3D simulation of the animated interior of the crime scene and the involved parties where the only witness Dong (colleague of Zhang) used a pair of controllers to demonstrate what happened in the event. While PowerPoint was previously being used to make cases more demonstrative in Chinese courts, the “witness visualization system”, according to Chinese news sources, will be widely implemented in every courtroom in Beijing, as VR technology is increasingly used outside the field of entertainment. For example, Taiwan has recently announced that VR technology will be used in legal examinations later this year. As part of President Xi Jinping’s plan to eradicate poverty and upgrade the quality of education in rural areas by 2020, the Chinese government has increasingly been implementing internet connection and live-streaming technology in rural schools. According to a South China Morning Post article, the policy has by far proven its effectiveness to improve the learning experiences among rural school children. For example, Lumacha primary school – a school in Dingxi that plummeted down to only three students due to rural-urban migration in recent years and one of over 1,000 schools in Gansu province with less than five students – has benefitted enormously from high-speed internet connectivity and live-streaming teaching. As one of the 28 schools in Dingxi participating in the Sunshine Classroom initiative of Hujiang EdTech, Lumacha is now equipped with a large touchscreen display, a webcam, and wireless internet. While Lumacha had never had any music and art classes due to the absence of teaching specialists, live-streaming technologies have now enabled teachers to broadcast their classes to participating schools within the same educational zone. At the moment, there are more and more educational initiatives that use technology to enhance their learning experiences of low income students, such as the Shenzhen-based Pujiang Technology that “works with smaller schools in cities like Chengdu, Nanjing, and Zhuhai, which often enrol “left-behind” children whose parents have moved to bigger cities and urban areas in search for better-paying jobs, but leave the kids behind in the care of relatives” (SCMP, 6 March 2018). A report published by Zhaopin, one of the largest online recruitment platforms in China, who has surveyed 102,415 employees, found that women earn 22% than men: the average monthly income for men is 8,006 RMB while that for women is 6,589. According to the 2018 Report on the Current Situation of Chinese Women in the Workplace, while the income gap between men and women is relatively small for entry-level positions, the gap widens as men are much more often to be promoted to high-level positions. This is partly because the attitude toward work about women as homemakers is still prevalent in today’s society. Guo Sheng, CEO of Zhaopin, has suggested that such cultural belief will be perpetuated as China is currently encouraging families to have a second child and urged the government to take on the maternity costs which companies are shouldering nowadays. The report also cites the women employees’ preference for convenience as an important factor when selecting a job is another reason that explains the income gap. China’s widening gender wage gap was also observed in World Economic Forum’s Global Gender Gap Report 2017 which ranked China 100th out of 144 countries, dropping by one spot from 2016. According to an instant poll of the Public Opinion Programme (POP) at the University of Hong Kong, Hong Kong people’s appraisal of the Financial Secretary Paul Chan’s second Budget Speech has reached the lowest since the survey was first conducted in 2008. With a net satisfaction rate of negative 14% (26% satisfied, 41 % not; down by 29% from Chan’s first Budget last year), the survey reflects Hong Kong people were generally dissatisfied with the government’s distribution of its large surpluses of HK$138 billion (fiscal reserves now hit HK$1,092 trillion). Some of this year’s major funding plans include HK$50 billion for the development of innovative technology (additional to the HK$10 billion from last year), HK$20 billion for the improvement of cultural facilities, and HK$6 billion for the Hospital Authority. The fiscal blueprint is also set out to ease the financial pressure of middle-class families by reducing salaries tax by 75% (ceiling of HK$30,000) and provide one-time measures for social security recipients such as two months of allowance and property rates waiver. Besides the absence of effective measures to address worsening housing shortage and make housing more affordable, lawmakers and political commentators alike were critical of the Budget for not making enough effort to reach out to the “N-nothing” population (N無人士) who were neither eligible for tax (e.g. low income workers who are not required to pay tax) nor rent reduction (e.g. poor people waiting for public housing). Coming as a surprise to Hong Kong residents, instead of giving out money like the Scheme $6,000 during the 2011 financial year, Chan’s Budget proposed an exam fee waiver for candidates taking the Diploma of Secondary Education (DSE) and 10,000 free tickets to Ocean Park for primary and secondary school students. According to a statement issued by China’s Taiwan Affairs Office, 29 government agencies have drafted a policy outlining 31 measures to relax restrictions on Taiwan’s companies and foster cross-strait investments, and cultural exchanges. The measures welcome Taiwanese companies’ involvement in some of China’s core industries such as energy, transportation, infrastructure, and entertainment, as well as give Taiwanese skilled workers equal treatments by recognizing their professional qualifications. According to Professor Zhu Songling at Beijing Union University, “the integration of economy and society across the Taiwan Strait is a process of reunification, and economic unification is a way to lead to the reunification of politics and regimes” (Bloomberg, 28 February 2018). Taiwan’s Mainland Affairs Council saw the initiative as a move to further suppress Taiwan’s autonomy and has responded by accusing the policy as China’s latest strategy to “buy out” Taiwanese people’s political identification (“以利益換取台灣的政治認同”).